Here are a few pictures of a Concert Classical Guitar I finished up this week. The customer had paid a visit to my shop to look at the tops and back and side sets available but he said he trusted me to make the decisions. 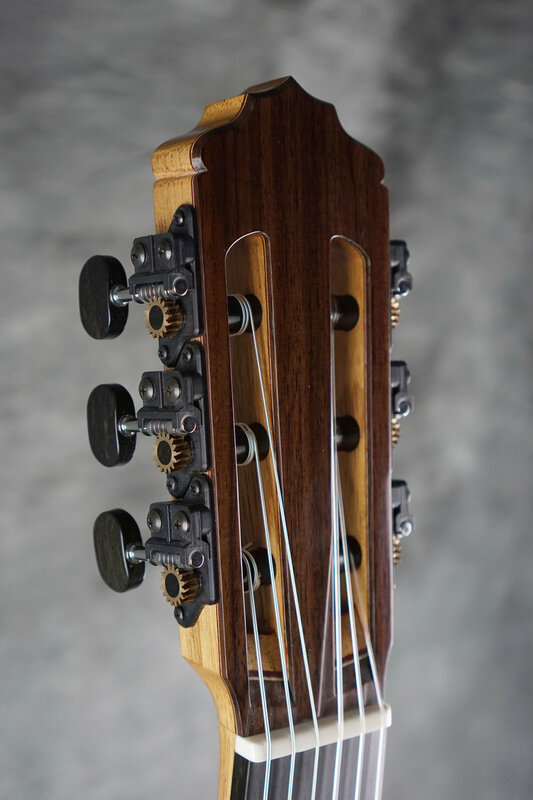 We went with a nice European spruce top with some pretty and very symmetrical bear claw figure, a set of East Indian Rosewood and it got completely french polished. His main request was for a set of individual style Gilbert Machines and we also went with the harder EVO Gold fretwire. 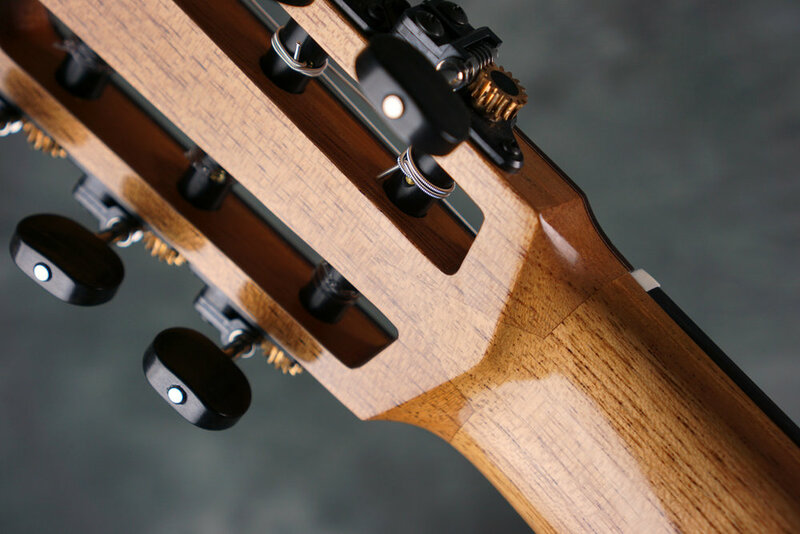 The pics show off the V-joint and some pufling detail at the bottom of the guitar. 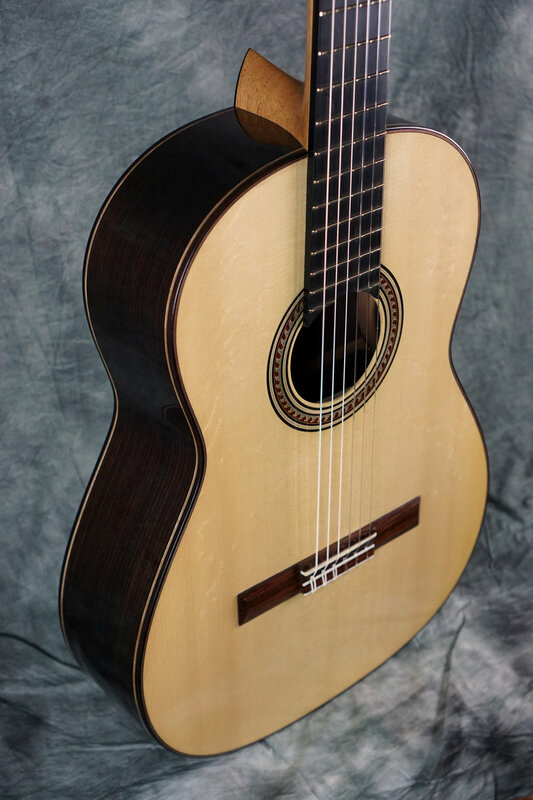 It comes across a fairly standard looking classical guitar but it is a player with some serious tone. I'm happy to send it out into the world to make some music.